When Paul Manafort, onetime Trump campaign manager and influence peddler to dictators, pleaded guilty to failing to register as a foreign agent in September, he averted a trial, and with it, the chance for the public to discover some of the most shady parts of his long and shady résumé, including his overseas work in Ukraine for a pro-Russian Ukrainian government. You need only to look at what he forfeited in order to keep the details of that work a secret — an estimated $46 million worth of cash and real estate, including an apartment in Trump Tower — to get a sense of how truly terrible those details must be. Had Manafort’s second trial taken place, prosecutors would have described in detail, for instance, how Manafort created a secret “chorus” of high-profile European politicians to persuade Washington not to impose sanctions after the Ukrainian government imprisoned an opposition politician. It was work like this that allowed his firm to collect nearly $66 million between 2010 and 2014. Manafort’s personal income during this time was over $30 million, money he funneled through offshore bank accounts, real estate, and the purchase of a now infamous ostrich leather jacket. What else did Manafort do to earn such astronomical sums of money? For the past four-and-a-half years, I have been a journalist in Ukraine reporting on the fallout of a revolution and subsequent war. Over the past five months, I talked to Manafort’s former associates, one former president, a former prime minister, and Manafort’s predecessor to try and piece together exactly what Manafort did in Ukraine. The nature of that work doesn’t just shed light on Manafort’s Russia connections — it’s also tremendously important to millions of Ukrainians, since Manafort was shilling to help prop up the presidency of Viktor Yanukovych, a post-Soviet strongman who left his country hollowed out by corruption. The nearly five years since then have been marked by a war that has killed over 10,000 people, and a complete failure of Ukrainian authorities to bring figures from the ancien régime to justice. Yanukovych is currently evading Ukrainian law enforcement by hiding in Russia, which means Manafort’s trial would have been a rare window into the misdeeds of his regime. According to the detailed plan that Manafort himself presented in 2010, he was paid to execute a “worldwide program to educate and promote” Ukraine’s president Viktor Yanukovych and to ensure that a “2004 scenario” never happened again. It was in 2004 that, after attempting to steal the presidential election, Yanukovych faced popular protests that forced him to concede to a rerun, which he then lost. He ran again in 2010 and won by less than 4 percent in a hotly contested election. Manafort knew what 2004 meant to Yanukovych because he had been there. According to an interview with Yanukovych’s former campaign manager Vasyl Khara, weeks before the rerun of the election, Khara was summoned to Moscow where Yanukovych was laying low. Three months earlier, Yanukovych’s pro-Western opponent, Viktor Yushchenko, was poisoned with dioxin, which disfigured his face and would cause him long-lasting health problems. Many critics blamed the poisoning on Yanukovych’s Russian backers. In what now seems like foreshadowing, Yanukovych fled to Russia, claiming he feared for his safety. According to Khara, Yanukovych told him that from now on he would be campaign manager in name only, and that Manafort would in fact be running the show. By that point Manafort had parlayed his experience with the Gerald Ford and and Ronald Reagan presidential campaigns into a lucrative career advising third-world leaders like Zaire’s Mobutu Sese Seko, the Philippines’ Ferdinand Marcos, and Angolan rebel Jonas Savimbi. “He told me about Manafort’s previous success abroad. He believed 100 percent in him and was convinced he could do what needed to be done,” Khara told me. After Yanukovych lost the runoff, Manafort was next tasked with reinventing him. Yanukovych, who as a teenager was twice convicted of assault, began slicking his hair back like Manafort, wearing similar bespoke suits, and even acquiring ostrich shoes. Manafort got an American speaking coach for Yanukovych, and his team began writing his speeches, which would now be translated from English, according to court documents. At the time, Yanukovych was the head of the Party of Regions. Employing Manafort sent a strong signal to Ukrainian politicians looking to unseat him that he had a political future. “Can you imagine? After the disaster of 2004 when he was nowhere and many believed that he was politically dead. All of a sudden he got this political strategist who used to work with Reagan telling him, ‘I believe you can be a political success if you follow my advice,’ ” said Oleg Voloshyn, a former spokesperson for the Ukrainian Foreign Ministry who worked with Manafort. Manafort brought modern disciplined campaign management and message control to Yanukovych’s operation (the same rigor he’d later try to apply to the Trump campaign). He also deployed modern polling, which, according to his former head of polling, he used to hone messages that stoked Ukraine’s pro-Western and pro-Russian regional divides. His messaging discipline extended to Yanukovych’s party operatives; MPs were trained by an American in public speaking. In the next election, in 2006, Yanukovych’s Party of Regions won the most seats in Parliament, and for a short while, Yanukovych even served as prime minister. The win put Yanukovych back on the political map, and soon he was setting his sights once again on the presidency. U.S. court documents show how Manafort set to work building Yanukovych’s presidential campaign, drafting strategy memos, filming commercials, and offering his team of U.S. political consultants bonuses if Yanukovych won. The influence was hard to miss. Accepting the nomination at his party’s convention in 2009, Yanukovych took the stage while confetti dropped from above and attendees carried premade portraits of Yanukovych — a perfect mimicry of a U.S. presidential convention, the likes of which Ukrainians had never before seen. Less than two weeks after Yanukovych won, Manafort was already at work planning how he could offer his guidance to the new president. “I have been managing a public government-relations program on your behalf,” Manafort wrote in a memo released by U.S. prosecutors. “Now, we need to formalize it and have the government pay for the services,” he wrote, suggesting making payment through a dummy private company. Manafort referred to his new group of lobbyists as the “Hapsburg group,” named after one of Europe’s most powerful and oldest royal families. Manafort recruited former Austrian chancellor Alfred Gusenbauer, former Italian prime minister Romano Prodi, and former Polish president Aleksander Kwaśniewski, all of whom lobbied for Ukraine’s interests without indicating that they were in Yanukovych’s pay. After being elected, Yanukovych’s government brought charges against his defeated opponent, Yulia Tymoshenko. She was convicted of embezzlement and abuse of power and sentenced to seven years in prison. 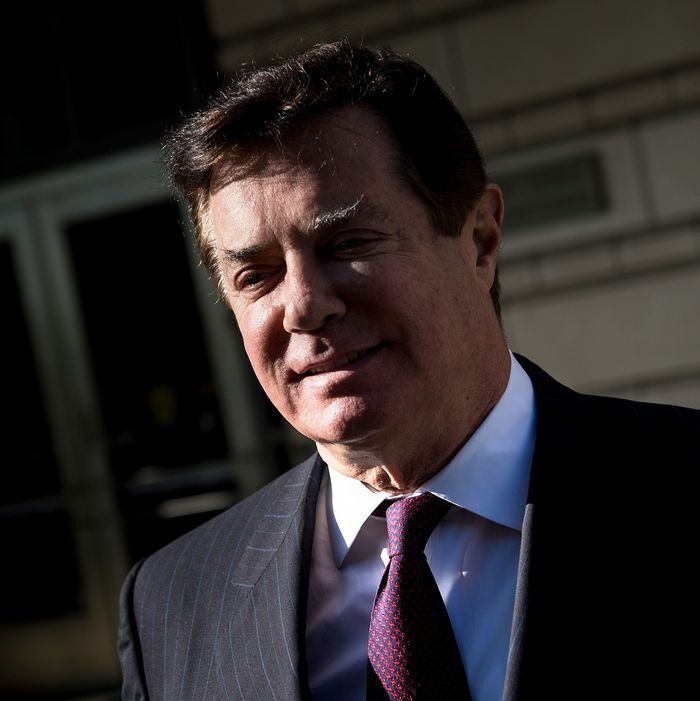 Manafort’s former colleagues say he opposed the move, which Western countries considered to be politically motivated, but nonetheless he was put in charge of the effort to spin the imprisonment abroad. Manafort’s deputy Rick Gates arranged for the firm Skadden, Arps, Slate, Meagher & Flom to publish a report justifying Tymoshenko’s imprisonment. According to Gates, he and Manafort used an offshore account to “funnel $4 million to pay for the report,” which officially cost only $12,000. “My goal is to plant some stink on Tymo,” Manafort wrote to lobbyists working for him in a message released in court filings. Another effort involved trying to put pressure on the Obama administration to back Yanukovych by smearing Tymoshenko as anti-Semitic, show prosecutors’ filings from Manafort’s second case in Washington, D.C. Under the scheme, Jewish supporters of Obama, who Manafort refers to as “bama Jews,” were supposed to be convinced to pressure the administration to drop support for Tymoshenko because of her supposed anti-Semitism. “The Jewish community will take this out on Obama on election day if he does nothing,” Manafort wrote to an associate. Prosecutors claim Manafort also “coordinated privately with a senior Israeli government official to issue a written statement publicizing this story,” and “then, with secret advance knowledge of that Israeli statement, worked to disseminate this story in the United States.” The Israeli Foreign Ministry did release such a statement in 2012, which former Israeli deputy foreign minister Danny Ayalon said was unusual both for being published only in Russian and for targeting a specific politician. These elaborate and costly lobbying efforts were possible due to the backing of Ukraine’s pro-Russia elite. During Manafort’s first trial last summer, Gates testified that the nearly $66 million Manafort received for his work for Yanukovych was transferred from the offshore accounts of Ukrainian oligarchs and government officials to Manafort’s private account. These officials and oligarchs in turn were able to profit from the kleptocracy that Yanukovych established. In court, Gates confirmed that they benefited financially through contracts or ownership of certain companies or percentages of companies. Ukrainian prosecutors believe Yanukovych and his government stole up to $100 billion from the Ukrainian state. Ukraine’s tax authority was equipped with a special soundproof room with transparent furniture (ostensibly to prevent either side from hiding recording equipment) to allow tax authorities to negotiate bribes in secret with individuals owing tax money. Yanukovych used some of his newfound riches to build a massive 345-acre estate outside of Kiev with a luxury-car collection, golf course, an ostrich farm, and a restaurant housed in a pirate ship that floats in a man-made lake. By 2013, Yanukovych’s system of graft had led Ukraine to the brink of bankruptcy. To shore up his country’s finances, Yanukovych played the E.U. against Russia for aid, in the end spurning an association agreement with the E.U. and siding with Russia. The decision sparked popular protests that left over a hundred protestors dead before forcing Yanukovych to flee the country. When Manafort became campaign manager for the Trump campaign in March 2016, the American public knew little about his dealings with Ukraine. But then in August 2016, Serhiy Leshchenko, another Ukrainian journalist turned member of Parliament, announced that he had received a copy of the black ledger for Yanukovych’s party that detailed millions in cash payment to Manafort. A few hours after Leshchenko held a press conference to reveal the ledgers, Manafort resigned from the campaign.